Michael J. Kamdar joined Molecular Assemblies in 2016 as President, CEO and Board Member. An industry veteran with an expertise in business development and financing, Mr. Kamdar has accounted for deal transactions in excess of $1 billion and has raised more than $400 million from venture capital and the public capital markets. more Prior to joining Molecular Assemblies, Mr. Kamdar was President and Board Member for Ciclofilin Pharmaceuticals, a company focused on development of novel Hepatitis B (HBV) compounds, which was sold to ContraVir Pharmaceuticals in June 2016. Previously, he was President and Board Member of Cellana, a leading developer of algae-based products. He was also the Founder, Chief Business Officer, and Board Member of Genoa Pharmaceuticals, a company developing a treatment for idiopathic pulmonary fibrosis. Mr. Kamdar also founded VentiRx Pharmaceuticals, a privately held company focused on Toll-like Receptor 8 agonists (TLR8), which was optioned to Celgene Corporation in 2012. At VentiRx, Mr. Kamdar served as a Board Member and Chief Business Officer. 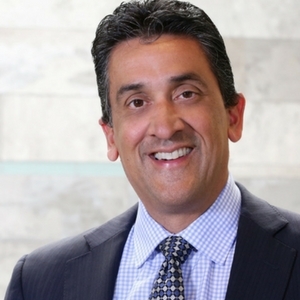 Before founding VentiRx, he held several positions at Anadys Pharmaceuticals, most recently serving as Senior Vice President, Corporate Development and Finance, and played an instrumental role in the company’s successful IPO. Prior to Anadys, Mr. Kamdar served in senior management at Agouron Pharmaceuticals, a Pfizer Company, most recently as Vice President, Business Development. During his eight years at Agouron, Mr. Kamdar held positions of increasing responsibility, culminating with his assumption of global responsibility for corporate partnering, in-licensing, technology acquisition, and strategic alliance efforts in the anti-infective, oncology, and ophthalmology therapeutic areas. Mr. Kamdar is a member of the Board of Directors of Genoa Pharmaceuticals, Medipacs (Chairman), Prime Genomics and Vault Pharma. He received a Bachelor of Science in biology from St. Joseph’s University and a Masters of Business Administration from Villanova University.